The forecast was delivered after a steady pre-dawn rain. It turned to snow as temperatures dropped from the high 30s to around freezing. They were forecast to keep dropping over much of the state. That prompted the state Department of Transportation to lower the speed limit to 45 mph for many interstate highways. They were already wet and expected to freeze or be covered with snow as the day wore on. The rain kept some revelers away. State police estimated the crowd at around 11,000. The gathering was slightly smaller than in recent years when upward of 15,000 people attended. No mention was made of Sunday night's Super Bowl. That was unlike Groundhog Day 2009, the last time the celebration occurred the morning after the big game. The 2009 game was won by the nearby Pittsburgh Steelers. Despite the German legend, Phil's handlers don't wait to see if he sees his shadow as he likely would not have on such an overcast day. Instead, the Inner Circle decides on the forecast ahead of time. The group announces it on Gobbler's Knob, a tiny hill in the town for which the groundhog is named. 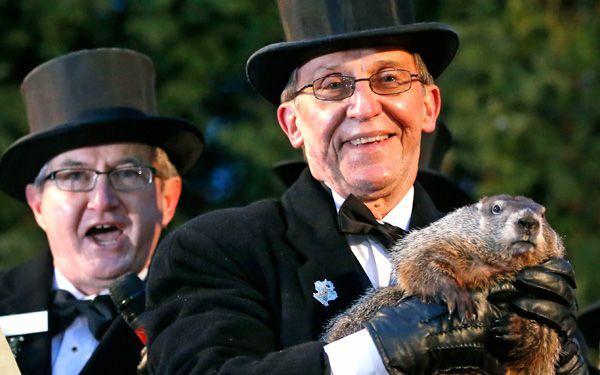 Punxsutawney is about 65 miles northeast of Pittsburgh. Records going back to 1887 show Phil has now predicted more winter 102 times. An early spring was the forecast just 17 times. There are no records for the remaining years. The result why the super bowl was bigger new in Punxsutawney in 2009 than this year because nobody mention was made of Sunday night super bowl. That was unlike groundhog day in 2009,the last time the celebration occurred the morning after the big game. I think the reason is it was right after groundhogs day. Also groundhogs day is a big portion of American history. Last reason is the Pittsburg Steelers won after groundhogs day. I'm glad we have 6 more weeks of winter because I like to play in the snow with my dad.I do like spring,but I like winter better. WHAT!!!!! SIX MORE WEEKS OF WINTER!!!!!!!! boo!!!!!!! i do NOT want six more weeks of winter its way to cold!!!!! i am freezing cold at my bus stop i do not want six more weeks of that nooooooooooooooo!!!!!!! 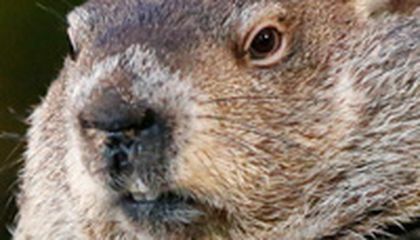 I was really excited to finally here if its still Winter or here if its Spring.I was really surprised to here that there is six more weeks of Winter.I always wonder who feeds Punxsutawny Phil the groundhog. #six more weeks of winter! I saw on the news the groundhog bit the guy holding hi ups ear,that would hurt.I dont want six more weeks of winter,its to cold.